So it's not entirely the way I'd choose to spend a Saturday afternoon; sat outside our offices waiting for the police scene of crime officers to arrive to do their forensic stuff after some !*?!! 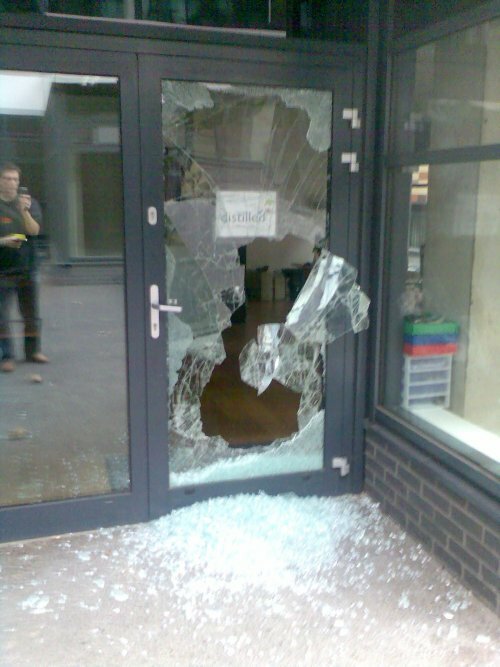 smashed our lovely new front door and stole (at least) two 24" iMacs. We only moved in on Monday - I haven't even been able to write about our move yet (you'll have to be patient at least another day!). We love our office - it's such an improvement over the old one in so many ways. Except security, apparently. While we have off-site backups of everything crucial, it would have been a pain if our office servers had been taken - just in terms of restoring etc. As far as I can tell from outside (sitting on the floor, connected to WiFi!) it's only our two big expensive 24" iMacs that have been stolen - and since they shouldn't have too much on them in terms of data, they should be very easy to replace. Thankfully, they are insured (though I don't know the excess yet). There are a few things that are very annoying about this. 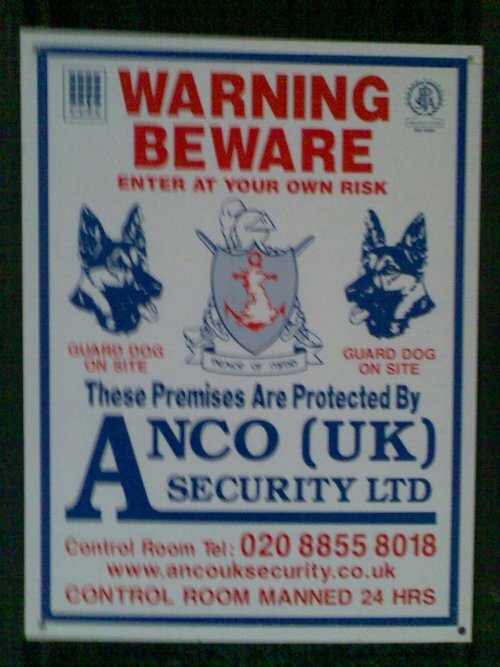 The main one being that the premises are supposed to be protected by a security company, Anco Security, the security guard was on-site (we don't employ the security guys directly, so it will be up to our landlord to look into this in more detail). I can't believe it happened in broad daylight at 2pm on a Saturday!